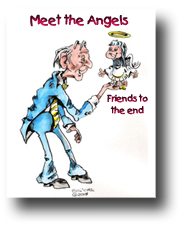 Meet the angels, there are many different angels that you can work with. The ones that work with humans will vary as to the type of work that they're involved in and your specific needs. The following is an incomplete list of the different angels, but should help you to get the idea. 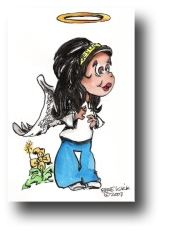 I suggest that for general purposes, you ask for help from the Angel that is appropriate to your situation. These Angelic Beings, like the caterpillar that changes to the butterfly, deal with matters of life, death and birth, both on the physical and spiritual realms. These Light Beings are concerned with endings and beginnings helping you prepare for transformation or metamorphosis that will occur in your life. Painful it might be but worth it... definitely. When you are ready for growth these gentle beings of light are by your side helping you to improve yourself. The Angels of Growth also helps restore your inner balance. They can transform your physical body and increase your capacity for awareness. If you feel achy and feverish but know you are not really sick and it clears up mysteriously in a few days and you feel great, you more than likely have been worked on by this light being! 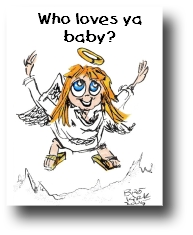 These angelic helpers work with couples, groups and all other relationships. If there is a relationship in your life that needs healing, invite the relationship angels into your relationship or group situation and ask for healing, a transmutation or moderation of the issues involved. All matters involving communication is their forte, and when you think of it, communication is essential in life. Ask for the clarity of mind enabling you to get your point across (your authentic truth) as well as the ability to understand the other person's point of view. Harmony and balance allow the Universe to manifest and grow. True creativity comes from harmony which is your connection and Oneness with all that is. Leave a space for these Light Beings to bring peace and harmony into your life. This light beings remind us to have compassion and empathy for all of life. Be of assistance to someone and learn the power of charity. It will bring you joy and blessings! Are you ready to let go? The Dissolving Angels on light help you to let go of things that you don't need anymore! Call on them to help you to cut the old worn out ties and beliefs that bind you. Let go! This light beings will help you bring forgotten memories into your conscious mind. In your everyday life you can call on this being of light, this true friend when you need to remember something that you've forgotten. 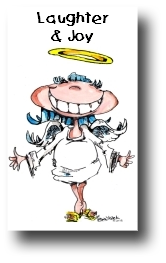 The Angels of Laughter and Joy help you to remember to lighten up! Life is fun, no suffering required. They urge you to do something for yourself that will make you feel good. Allow them to open you up to laughter and light! We all need these gentle light beings from time to time to help us to trust - ourselves and others. These Angels help us let go of our fears and gives us that dare to trust! The Angel of Hope is there to remind you that everything you do, DOES make a difference. Allow hope into your life and see the results. The change begins here! This Being of light assists you in starting to accept life. Call on them to learn about acceptance of yourself, others and every situation that arises. They are also concerned with teaching you about self-love. When you feel that forgiveness is necessary, remember that it is but a step on the path of acceptance and unconditional love for others. Confusion often reigns supreme, call upon the help of this friend to assist you in understanding the details and peculiarities of the situation. This being of light will bring clarity so that even the most sensitive person can make use of their gifts to the fullest. The Angels of Patience remind you that patience is an asset that we can all make use of especially around the children. Patience is a virtue so when you feel that things just aren't going fast enough to suit you, call upon this type of angel to help you to be patient. Yes, these wonderful light beings can and will help you to manifest anything that is for your greatest and highest good. If it doesn't fall in this category, though, you may be out of luck. They know if it really is in your best interests or not!! Remember the saying: "be careful what you ask for . . . you might get it"! State your intent clearly and be ready for the answer. Tolerance is a remedy for anger, lust, jealousy, gossiping, resentment, criticism, tantrums, etc. If you get into turmoil, this is angel you want as a friend who when called will help you. There is no judgment to be found here, only acceptance. The Angel of Love must not be confused with desire for the physical, whether people or things. This Being represents the ability to master every adverse condition known to Human Beings. This type of Love is the Glue of the Universe. Let this light being make you whole. This Being assists you in discerning between what's good and a waste of your time, for your spiritual development and growth. Ask for assistance to see these areas clearly, for yourself, so that you may develop discernment. Helps you to know and feel the truth. Detachment is a key step on your path to Self-Mastery. Having desires, goals and wishes is quite normal . . . what can be a problem is an inappropriate attachment to having these things or to the outcome of a situation you have counted on. This stands in the way of our development spiritually. Ask for help in practicing loving detachment. Included here are the Devas, Fairies, Gnomes, Elves, Dryads, etc. you also have the spirits of the trees, wind, rain, lightening, etc. They live in the plants, trees, animals, rocks, streams, lakes and so forth. 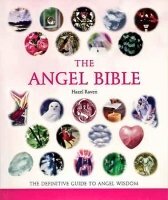 These angels work with people to bring us into balance with Nature and the outdoors. Your dear Guardian Angels and Guides that stay with you, help you, teach you, put up with you and love you unconditionally no matter what! They serve in most of the capacities above at some point or another and are always, uniquely themselves. These angels travel in the guise of a person who comes into your life and gives you exactly what you need at that moment. It could be guidance, a loan, a kind word, or anything you need. This person may be a stranger, a relative, a friend or anyone else. When a person acts in this capacity, they are acting as a helper of the Universe. Beings of all types can be aligned and utilized in this way, including YOU! The healing energies of the different types of angels are with you all the time, by allowing these energies into your existence and acknowledging them, you will in turn live in harmony peace and abundance. I invite you to journey on and make the acquaintance of the Archangels who I work with very closely something I know you will to..